Halloween is essentially a Western holiday and has a long history, initially celebrated by the Celts to commemorate the dead. Halloween, as we know it in the United States, involves getting dressed up in costumes, trick-or-treating and decorating pumpkins—but is this something they do in China? Unlike Christmas where the non-religious traditions have crossed the Pacific, Halloween is a non-event for local Chinese people unless they have some connection to the expatriate population. 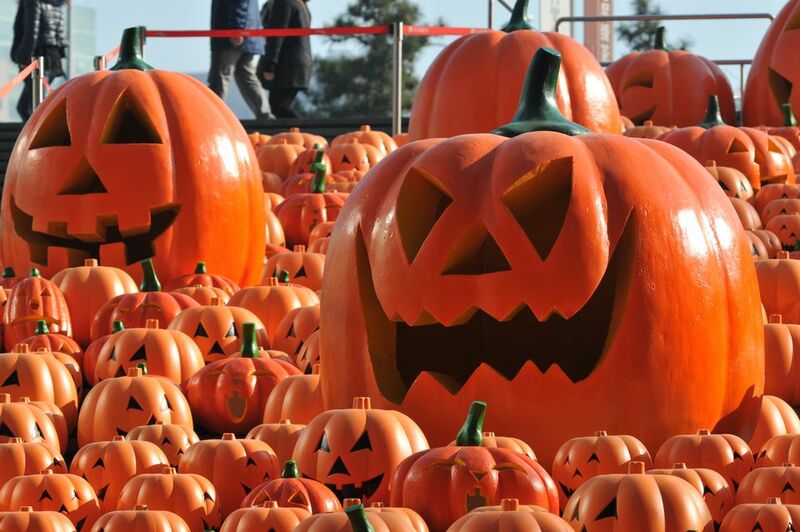 It's unlikely you'll see signs of Halloween outside major cities. If you happen to be in big cities with large expatriate communities such as Beijing, Shanghai or ​Guangzhou, you might see pumpkins or squash decorating shop-fronts and grocery stores selling Western products. If you live in one of these cities, you might stock some candy, but you won't find hoards of Chinese children knocking on doors for treats. Only if you live in a compound with many expat kids or kids who go to expat schools, will you have trick-or-treaters. Halloween is essentially a gimmicky holiday and lots of bars, pubs, and restaurants will use Halloween as a theme night. If you're visiting China during Halloween, you'll probably only find these parties in larger cities that are more expat-friendly such as Beijing, Shanghai, and Guangzhou. You can check local expat magazines for parties and hit the bar scene for a spooky night out if you're in the mood. Unfortunately, only the expat/international schools will likely be doing anything Halloween related so if you're just visiting China with your kids during Halloween, you'll be hard-pressed to find parties or trick-or-treating. Instead, find a fun kids' activity for them that day to help them forget about Halloween and the candy they're missing! Here's the funny thing: China happens to be a great place to put together a Halloween costume. So if you love a good Halloween party, you might consider this if you're going to be in China ahead of time—you can source your costume and accessories in advance. The fabric markets are a great place to take a costume idea and make it come to life—tailor-made. Find a relatively simple outfit online and print out photos. Then go to the market and find the right fabric. Shop it around to different tailors in the market until you find someone willing to do it for a price you'll accept. Just keep in mind that you'll need at least three days to a week to get something tailor-made.